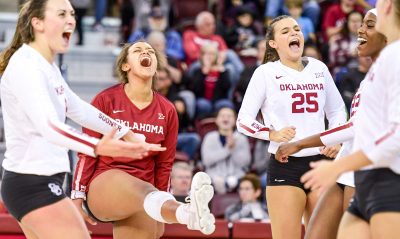 This post, "Volleyball All-Big 12 Awards Released" was originally published on Big 12. 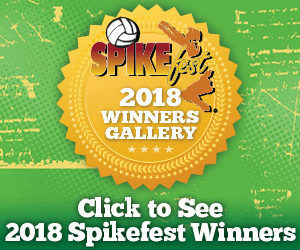 The honorees were led by the Player of the Year Micaya White (Texas), Freshman of the Year Logan Eggleston (Texas), Libero of the Year Keyton Kinley (Oklahoma) and Co-Setter of the Year recipients Kylee McLaughlin (Oklahoma) and Missy Owens (Texas Tech). Longhorns head coach Jerritt Elliott took home his sixth Coach of the Year award. Junior outside hitter White was named Big 12 Player of the Year for the first time after a season that included a team-leading number of kills (326), kills per set average (3.84) and a hitting clip above .300 (.305). White also earned two conference weekly awards throughout her junior campaign. During her first year at UT, White was named Freshman of the Year (2016), a season that consisted of eight Rookie of the Week honors. A Longhorn has now won back-to-back Player of the Year awards for the first time in four years. Eggleston capped off her rookie season with the third-best kills per set average (2.89) and third-most kills (246) in the Big 12, amongst all freshman. She helped the Longhorns to a league-leading hitting percentage (.303), which ranks No. 3 in the nation. Three-time Big 12 Defensive Player of the Week honoree, Kinley, paced the Conference with a digs per set average that ranked No. 41 in the nation (5.12) and recorded a league-best 527 digs, No. 72 nationally. McLaughlin ranked No. 2 in the league in assists (1,111). She also tallied the most assists in a week’s span in Conference play (108) and pulled in a No. 42 national ranking in assists per set (10.79). Owens ranked fifth-most in the Big 12 in assists (1,056) and sixth-most in assists per set (10.06).